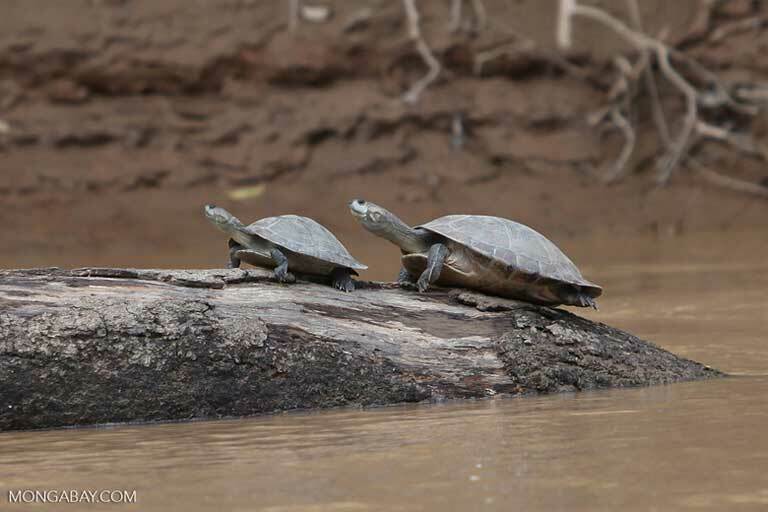 Amazonia’s surge in hydropower development threatens numerous species with extinction, and puts unique habitats at risk, warns a recent study. River dolphins, giant otters, turtles, fish, birds and monkeys will all have their habitats altered by hydroelectric dams, with some species likely to be completely wiped out, says an international team of biologists that looked at all impacts associated with 191 existing Amazon dams, as well as the 246 dams being planned or under construction. What’s more, the researchers identified a network of negative interactions between dam construction, mining, climate change, human migration, and biodiversity and ecosystem services which illustrates how impacts can cascade in multiple, devastating ways. In environmental terms, the most obvious and direct impact of dams reported by the study are on water flow and connectivity. Nutrients that flow downstream from the Andes are interrupted by dams; flood pulses that form a vital part of many species’ lifecycles are modified by the reservoirs and flow patterns that dams create and control; habitat complexity is lost; and species such as river dolphins become isolated in the stretches of river between hydropower developments, which leaves smaller sub-populations vulnerable to decline. To read the full article, orginally published on Mongabay, click here. Focus on who you are. Create the future you want. Real science, from real scientists, science communicators, writers, artists, clinicians.